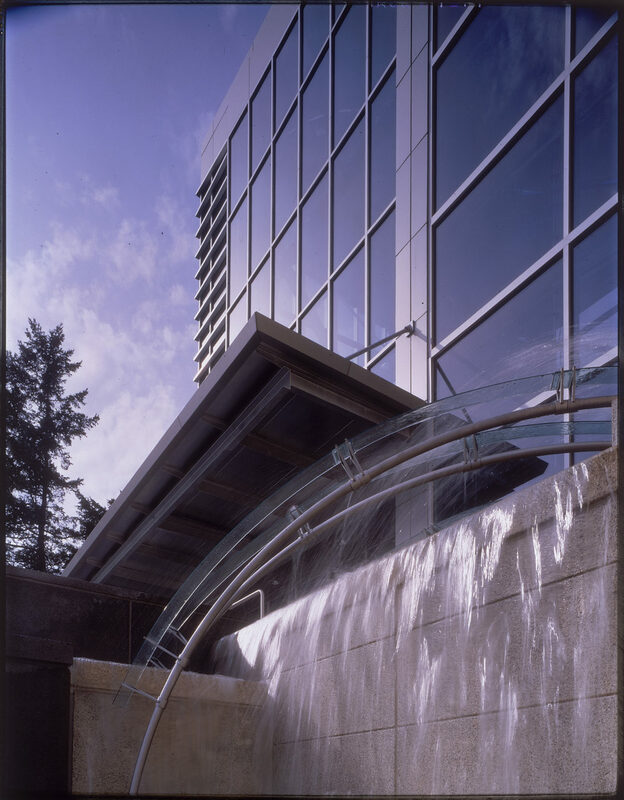 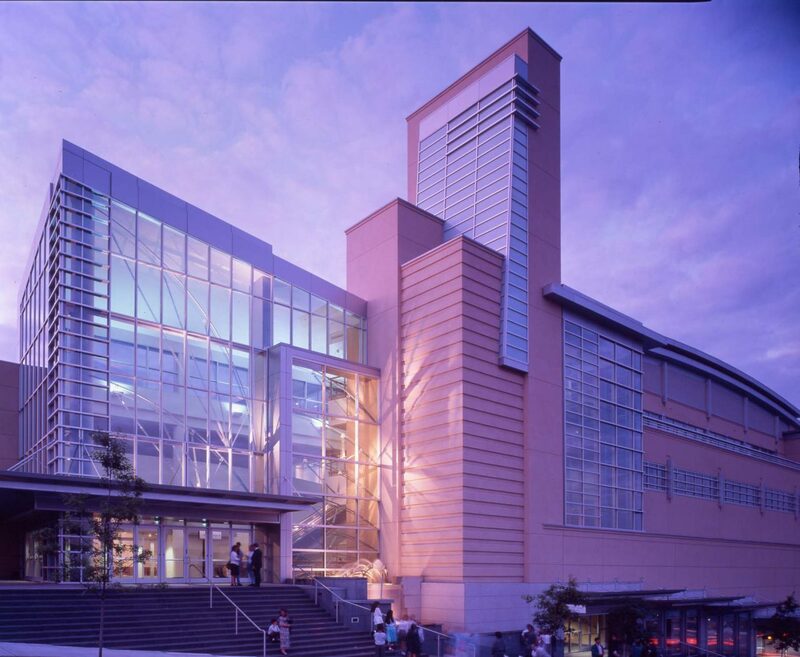 Arching over the south facing entrance to Bellevue, Washington’s convention and performing arts center, this complex installation can be seen from adjacent parts of the city and provides broad celebratory gestures, rich detail, and an array of effects with light and water. 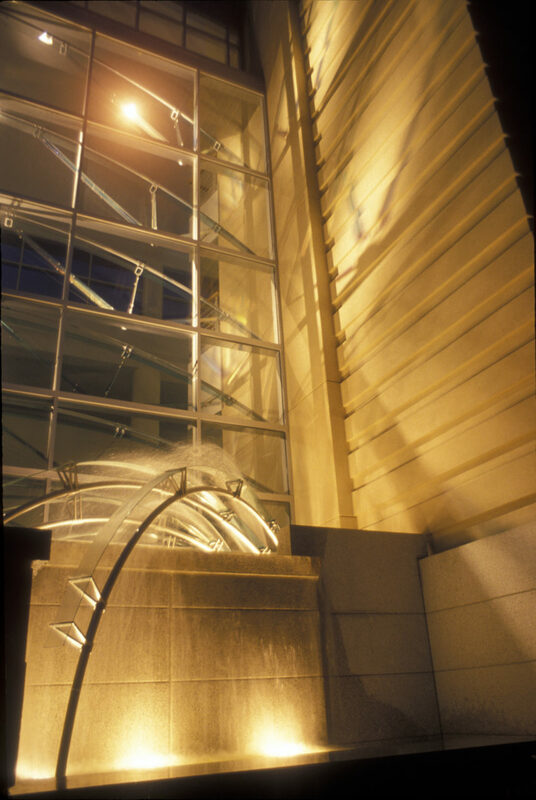 The sculpture incorporates computerized lighting and a multi-tiered fountain, plus stainless steel, aluminum and various glass types in its 60 foot reach. 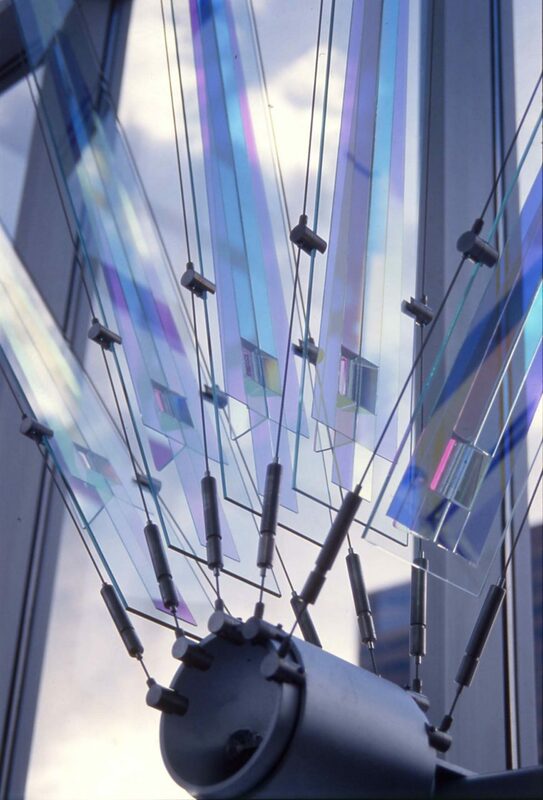 It is really many pieces, functioning night and day, inside and outside. 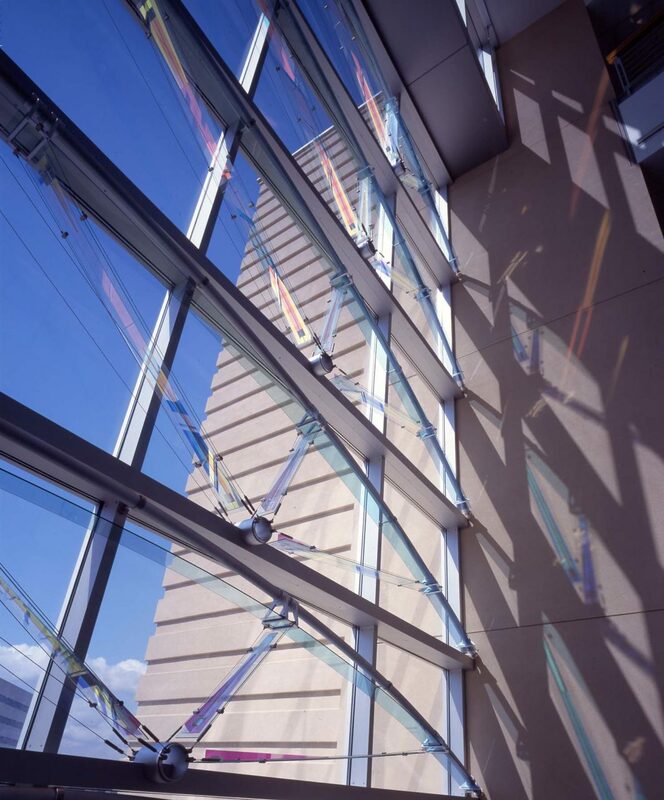 Daylight produces a moving canvas of colored projections and shadows within the Center. 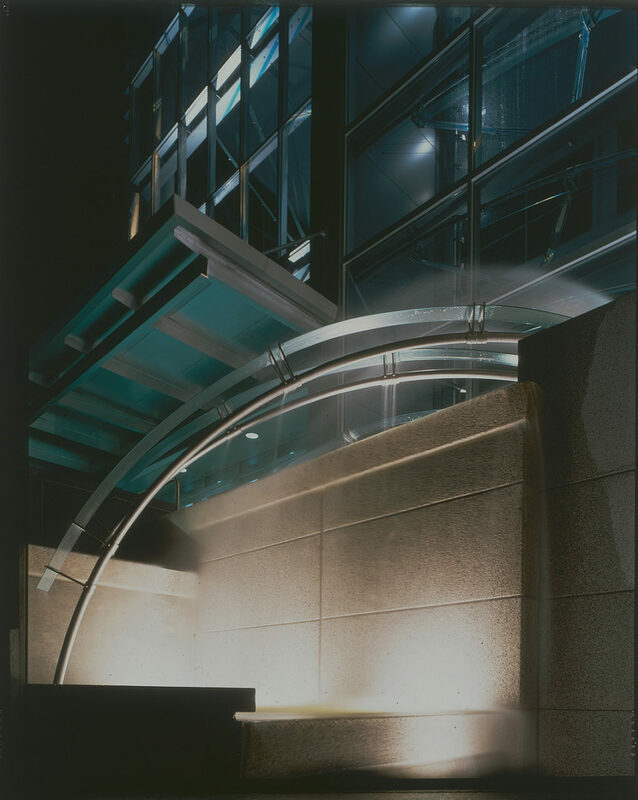 At night, programmed lighting slowly plays off the glass and metal, creating a subtly changing series of enormous “light paintings” on inside and outside walls. 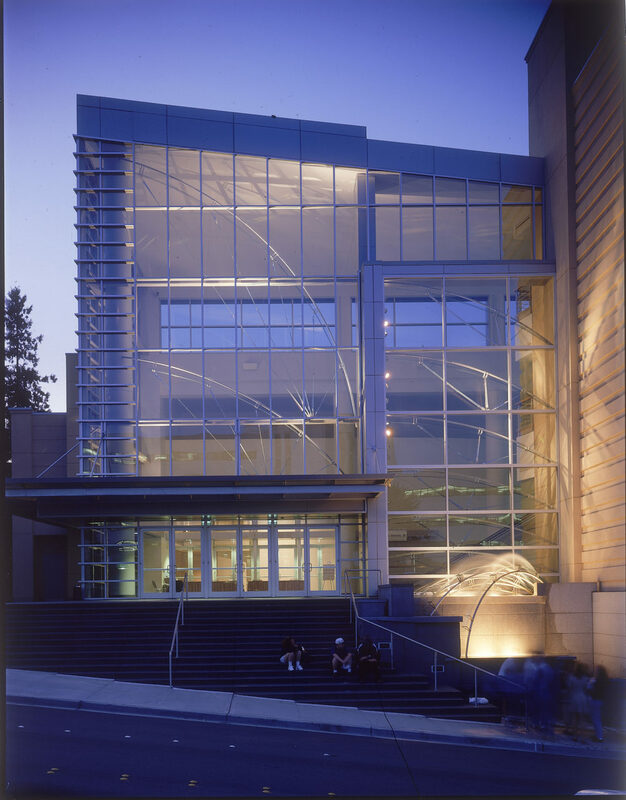 The design and fabrication took more than four years including collaboration with architects, engineers, local citizens, a fountain consultant, subcontractors, and various studio assistants.